We took a tour bus to the Phillips Island Parade of the Penguins. After sunset we saw Little Penguins (also called Little Blue Penguins) waddle up from the beach on there way to their nests. They had been out in the ocean fishing for food all day (or sometimes more than a day) to feed their chicks. They mostly came up in groups, both large and small. This was to protect themselves from predators. 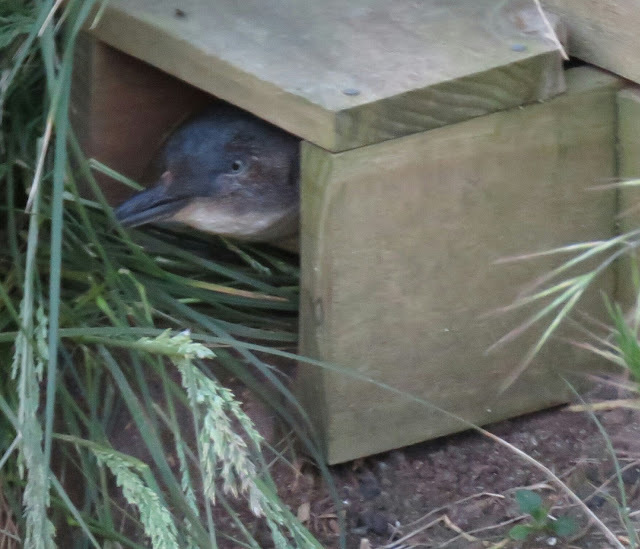 We were not allowed to photograph this Parade of the Penguins, but we were able to photograph the chicks in their nesting boxes. 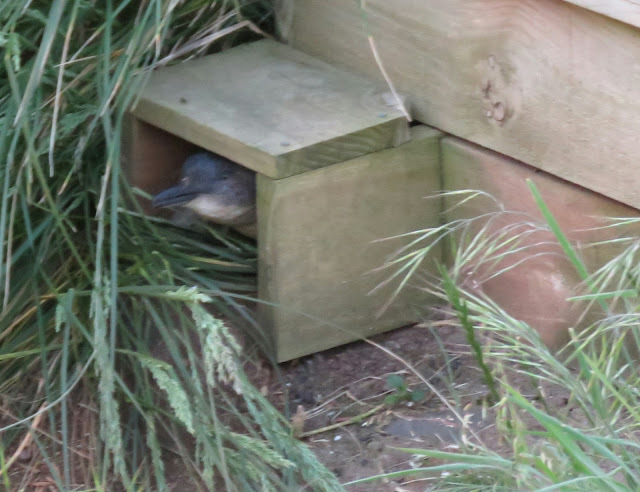 We can ID these penguin chicks as Little Penguins by their blue head, face and bill; white eye ring and whitish cheeks. 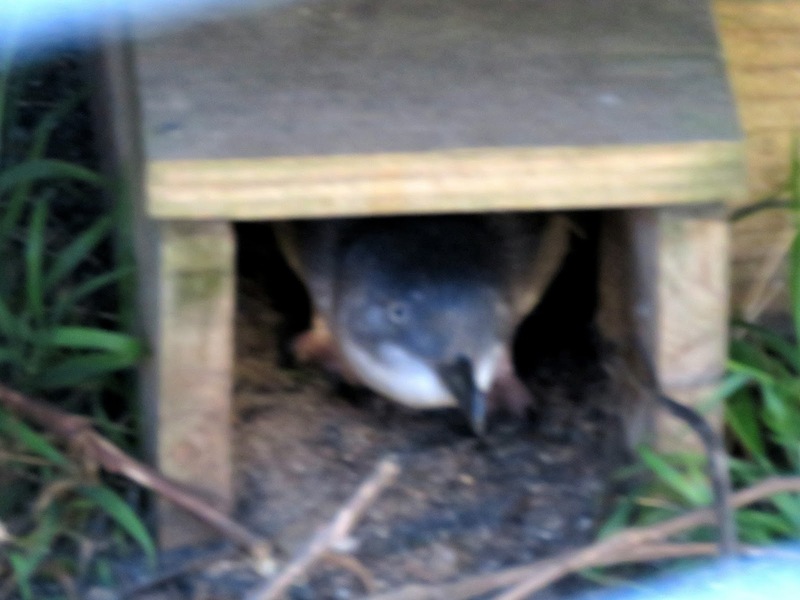 The Little Penguin is a new species to our Photographic Life List, which now stands at 673.